After being diagnosed with Stage 4 lymphoma in 2003, and while in treatment, I made a deal with God. If my life was spared, I would personally raise $100,000 for The Leukemia & Lymphoma Society. Indeed I have kept my word. I have raised significantly more than that to help find a cure by participating in triathlons, marathons, 5ks and hikes. Some of my favorite events for TNT have been Boston (2x), San Diego, Philadelphia and Dublin, Ireland (2x) Marathons, Wildflower and Greater Cleveland Tri’s and a Team hike at Yosemite. A couple fundraising highlights for me are my 2012 TNT Team (140 strong) where we raised over $1 million at the Boston Marathon. We are on track to do the same in 2016 with just 80 runners this past week in Boston. 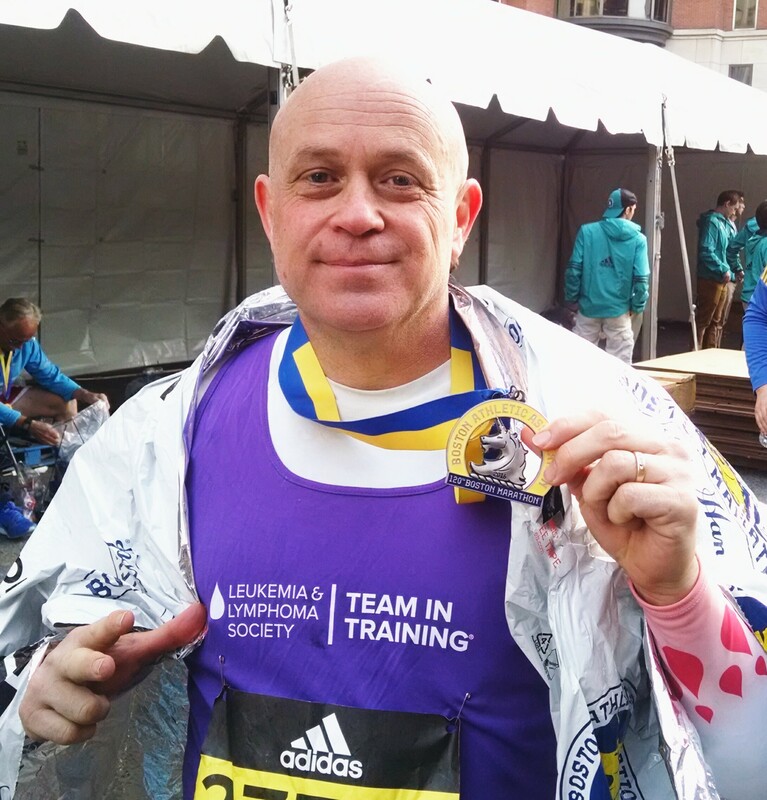 In recognition of my fundraising efforts, the Massachusetts Chapter of The Leukemia & Lymphoma Society awarded me the 2012 John Engdahl Award for the Boston Marathon for fundraising excellence. My support of the organization is more than monetary: I give back also by meeting with patients going through their diagnosis and by serving as a Board trustee and in the past on various executive committees for LLS. For LLS and TNT both, I look to serve as a true utility player, helping wherever I can to boost activity, connections and funds. I am fond of saying, “I don’t just dream about finding a cure for cancer, improving the quality of life for cancer patients or granting mercies … I am relentless in my fight for the same … I want these things to be truths, not a fleeting illusion”. 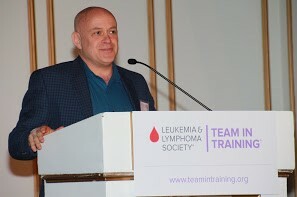 Just this past week as a member of the LLS TNT Boston 2016 Marathon Team, I was honored to be the Mission Moment speaker at our Inspiration Luncheon. Together we, The Leukemia & Lymphoma Society’s Team in Training remain RELENTLESS for a cure. 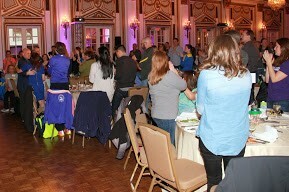 Our Boston Team has well exceeded our initial 600K goal and are moving past 900K and working towards $1 million. This Team, like yours, are all warriors and more powerful than they (we) know. They (we) have been empowered to serve in a very particular way because of our collective journeys. So, if we follow the Master, the rest invariably occurs… That being said, I had my slowest Marathon ever, yet I had the best experience with my Teammates! I most enjoyed connecting with my fellow Leukemia & Lymphoma Society TNT Teammates! What a great day and peak experience with amazing teammates. Thank you to my home LLS Board The Leukemia & Lymphoma Society Northern Ohio Chapter. May we continue to Love and Serve and I thank you, each and every one of you for all you do. #GoTeam See you along the trails as we joyfully trudge the road! As I recover from the Boston Marathon I’ll be carrying your loved ones in my heart and prayers each day on the yoga mat or in the woods running! I (we) remain RELENTLESS for a cure! This entry was posted in Awards, Philanthropy, Prose and tagged BlueBridge Networks, partnership, Prose, volunteering. Bookmark the permalink.